The holidays seem to be creeping up on me... With only six days to go, I've realized I still have quite a few holiday related posts scheduled. Uh-oh. Not all hope is lost though- shop now and enjoy it after the holidays! A post-holiday present is never a bad thing. Or, you could always splurge on a little expedited shipping, which would totally be worth it when you see Yves Rocher Folk Passion and Cacao Collections. Read on! Get a load of these! 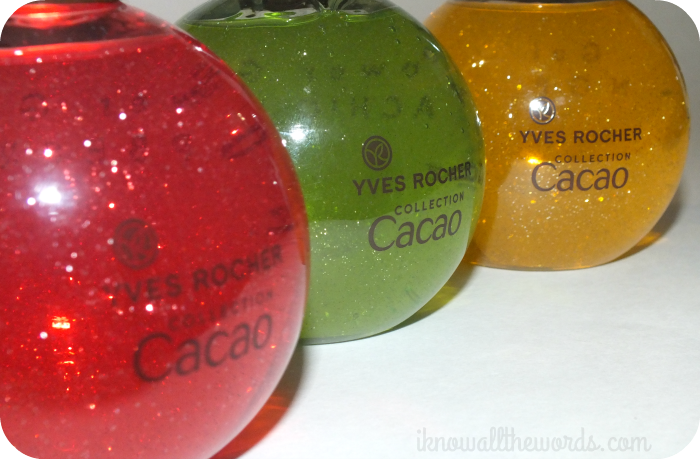 I am so smitten with the Yves Rocher Cacoa Collection Sparkling Shower Gels. Housed in spherical bottles and packed with fine silver shimmer, these look like the should be hanging on your tree. The collection, which includes a whole range of products- see them all here- has three chocolatey scent combos: Cocoa & Raspberry, Cocoa & Pistachio, and Cocoa & Orange. 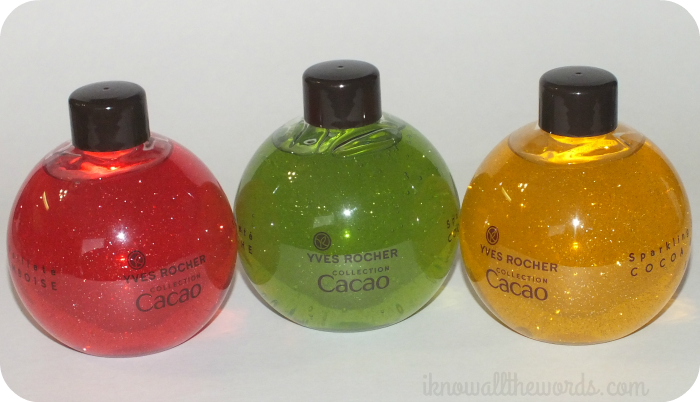 Chocolate scents don't always turn out that well in bath and body products, but Yves Rocher got these so right- each scent is exactly what you want with a natural fruit (or nut) note with a smooth cocoa that isn't too sweet. The shower gel lathers really well on a pouf and leaves skin feeling cleansed and lightly hydrated. These would be perfect in a stocking! 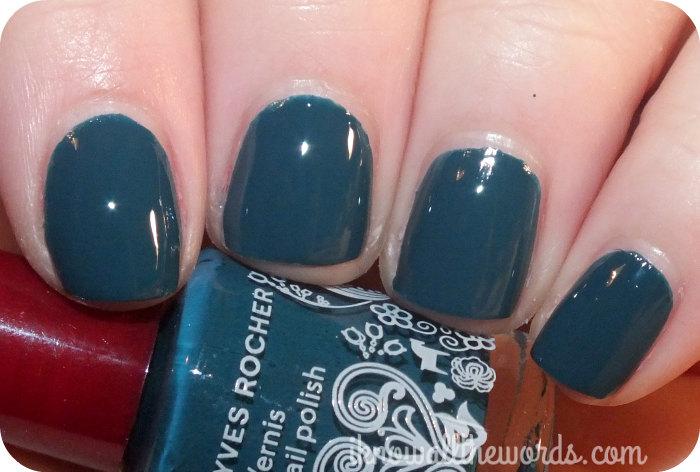 Moving on to the Folk Passion Collection, are the Folk Passion Collection Nail Polishes. 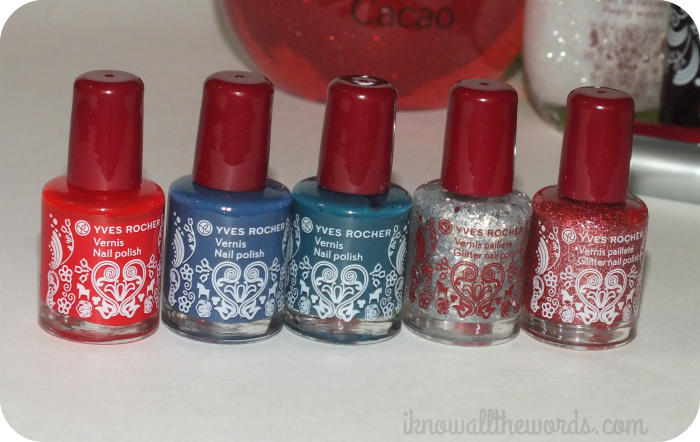 Housed in mini 3ml bottles, these polishes have the same folky print seen throughout the collection. It reminds me of something you'd see on a Ukrainian egg or Russian nesting doll- cute! The polishes are tiny, which is perfect if you're not one to wear nail polish all the time but would like a few choices for when the mood strikes. Of course, it works for collectors too because, hello, can you ever have too many polishes when they're so little and adorable? For those not sure, the answer is most definitely no. The formula is pretty amazing among all of the polishes with the cream shades- Slate Blue and Peacock Blue- only needing one coat. Prussian Red is a crelly (jelly-cream hybrid) that needed two coats and has a super shiny, squishy finish. The glitters- Silver Shine Glitter and Sequined Rose Glitter- are perfect top coats, but would take too many coats to wear fully opaque. Please excuse my stubby middle finger nail, it had a bad week. 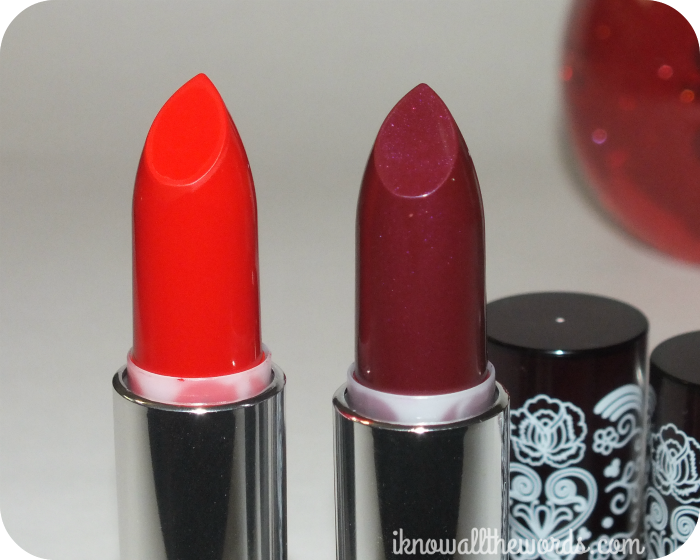 What collection is complete without lipstick? 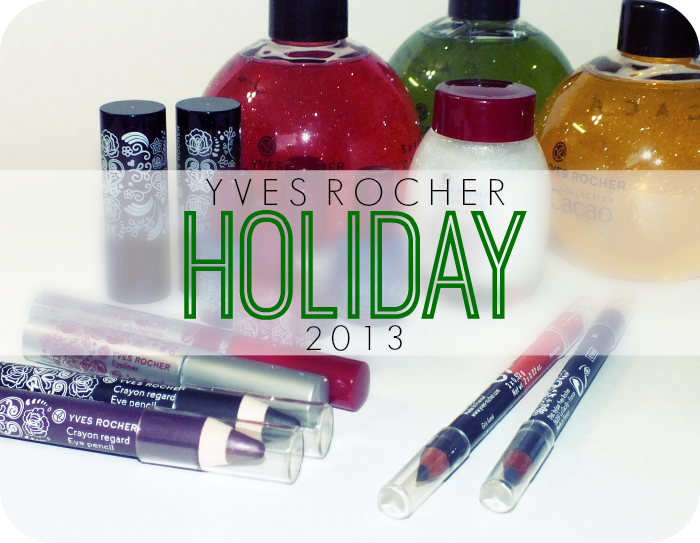 Yves Rocher Folk Passion Lipsticks offer two holiday worthy shades in tubes wrapped in the collection's signature print. 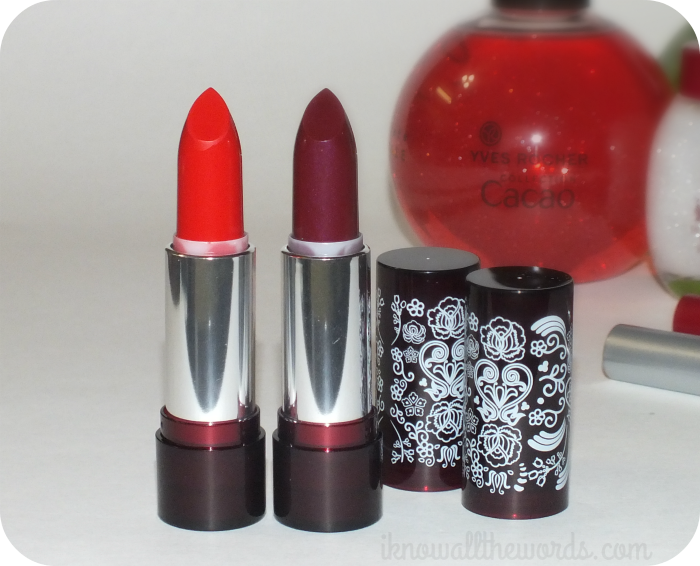 While both shades are perfect for the season with an ornagey-crimson red and plum, they both have differing formulas. 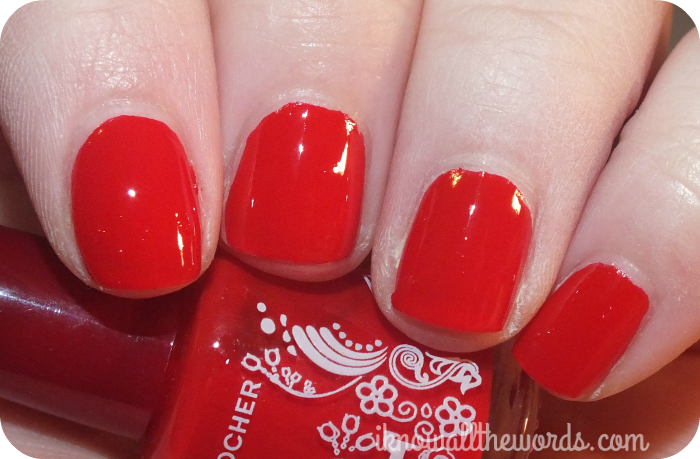 Prussian Red has a smooth, creamy formula with intense pigmentation and a bit of shine. It glides on in one swipe and wears amazingly well- I got almost five hours out of it- and it even conditions lips. Dark Purple (isn't purple, for one thing) still has a smooth, hydrating formula but it's more of a balm on lips and applies such with sheer opacity. It can be built up some, but you can't get the same deep shade you see in the bullet. It's incredibly easy to wear, but does wear away faster. I got about three hours. On to eyes, shall we? 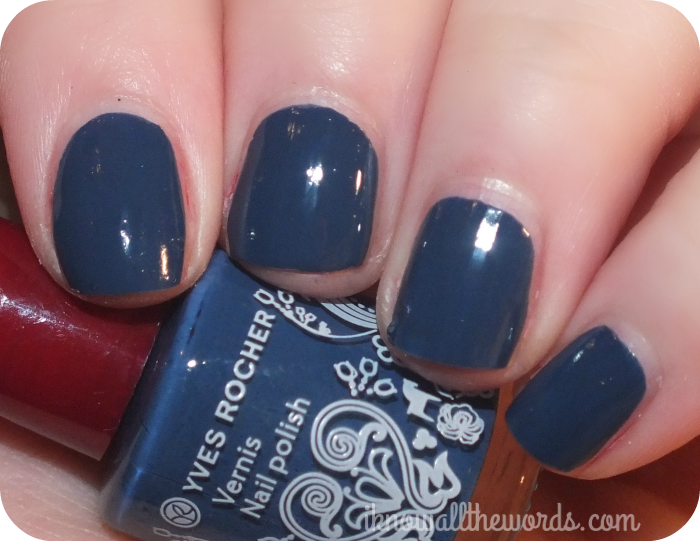 First up, the Yves Rocher Folk Passion Collection Khol Duos in Stormy Blue & Peacock Blue and Mandarin & Smokey Grey. 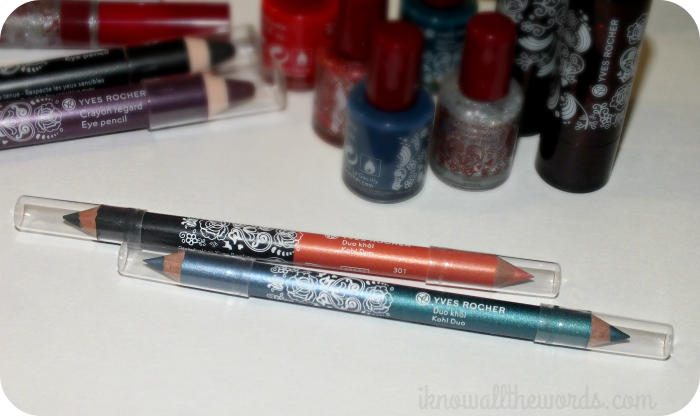 These slim pencils house two shades of smooth, pigmented liner. I find these apply very nicely, and because they're so slim, you can get a very fine line when applied from a sharp pencil. The Stormy Blue & Peacock pencil includes a green leaning teal blue and a bluer teal blue with a slightly metallic sheen. 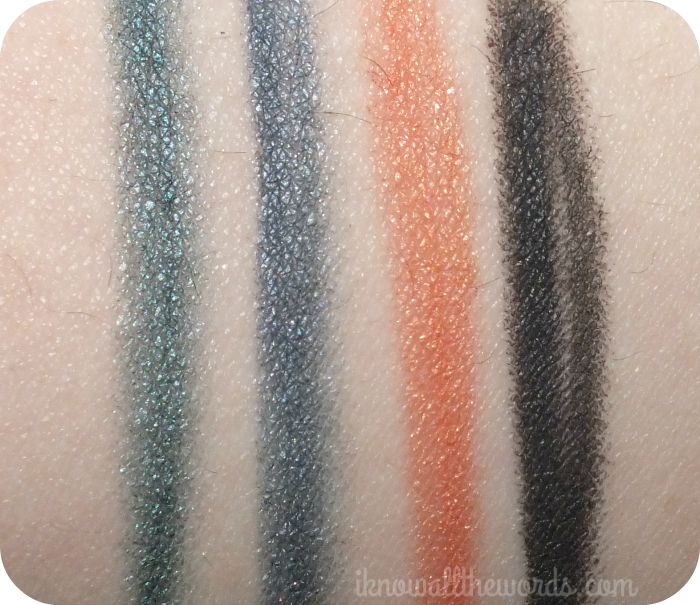 The Mandarin & Smokey Grey pencil includes a really unique soft orange with a slightly frosty finish and a deep, almost black grey. These aren't the most typical shades- just look at that orange!- but I like that they've given us something different. 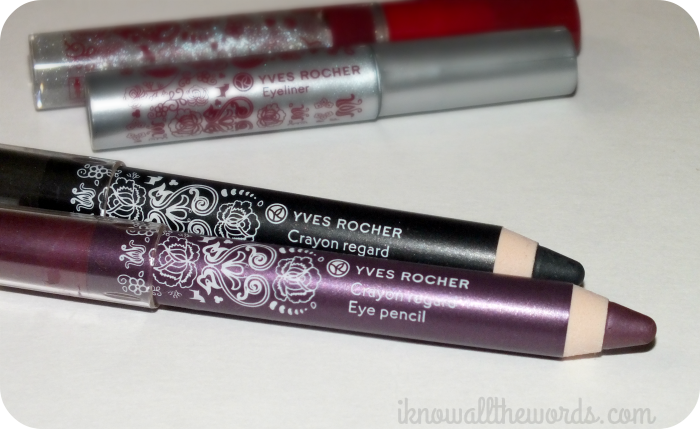 Next, are the Eye Pencils which work double duty as liners and shadow/ shadow bases. These are super creamy and glide onto with no effort at all. 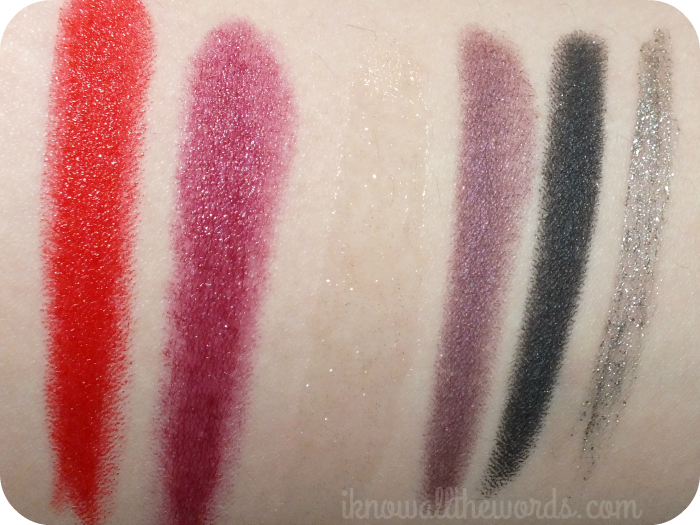 As liners, they wear well, but as bases I find I do need a primer or they crease a bit. Both shades will work well for a fast smokey eye. 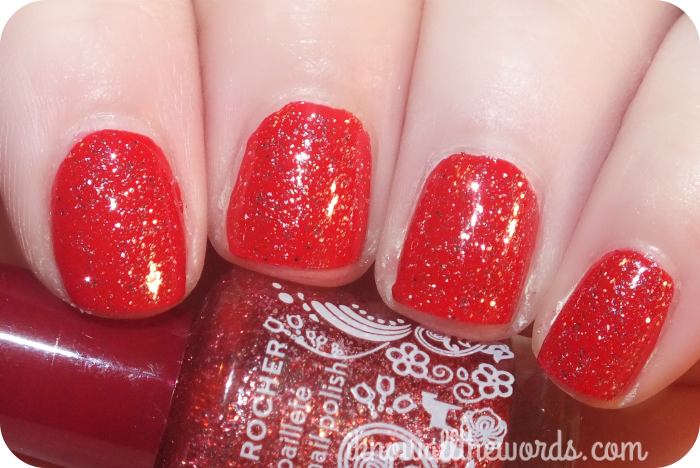 No holiday collection is complete without some sparkle! 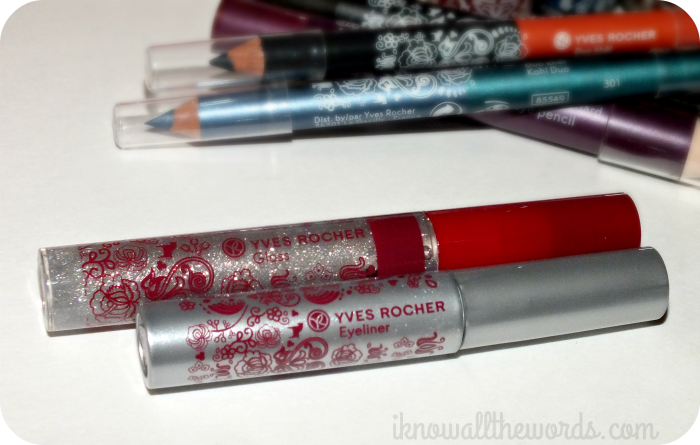 The Yves Rocher Folk Passion Collection is a bit different in that it serves up silver glitter in the form of Sparkling Gloss and Sparkling Silver Eyeliner. 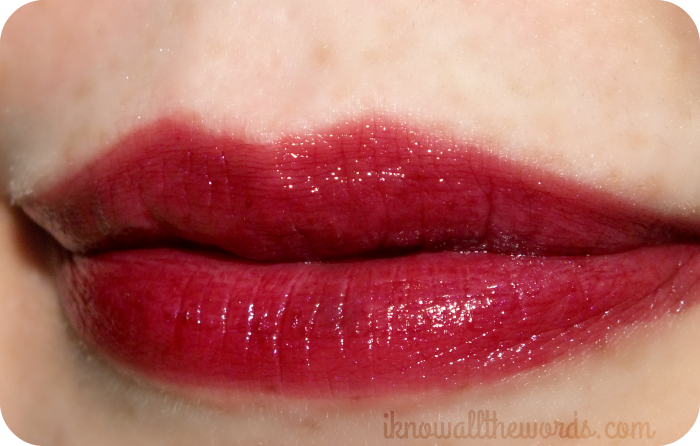 The Sparkling Gloss looks like an intense sliver glitter gloss, but it's not over the top. 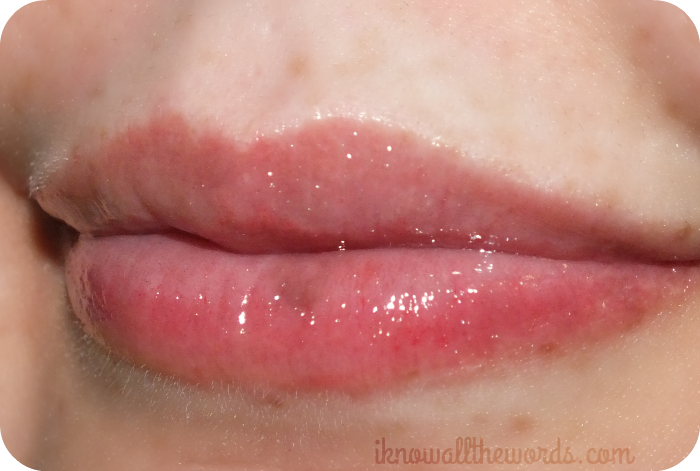 Instead it provides the perfect amount of shimmer and shine to bare lips or over gloss. 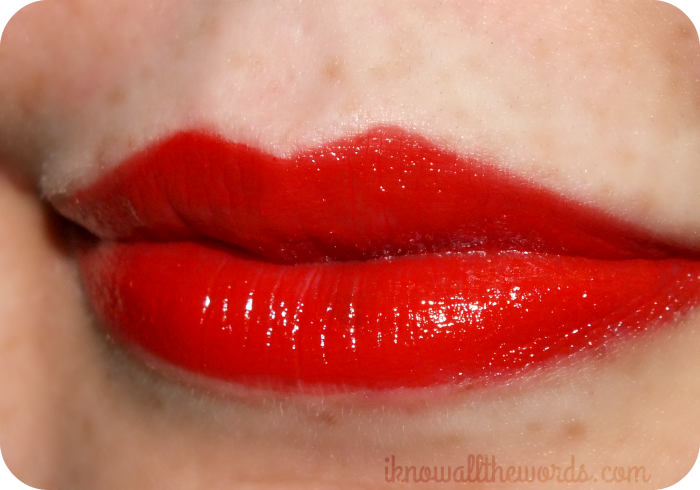 It has the perfect formula as it's not even the slightest bit sticky, yet still wears well. The Sparkling Silver eyeliner is perfect to add a touch of glimmer to any eye look. 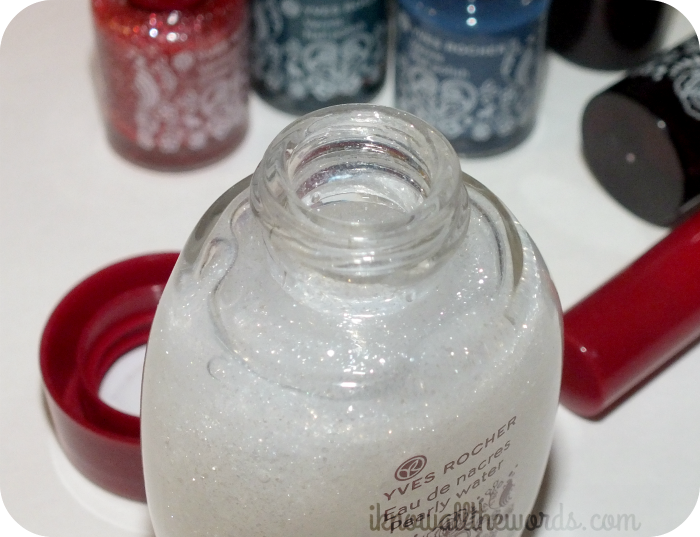 It has a small, thin brush to easily apply a thin line and has both silver glitter and a metallic silver base. 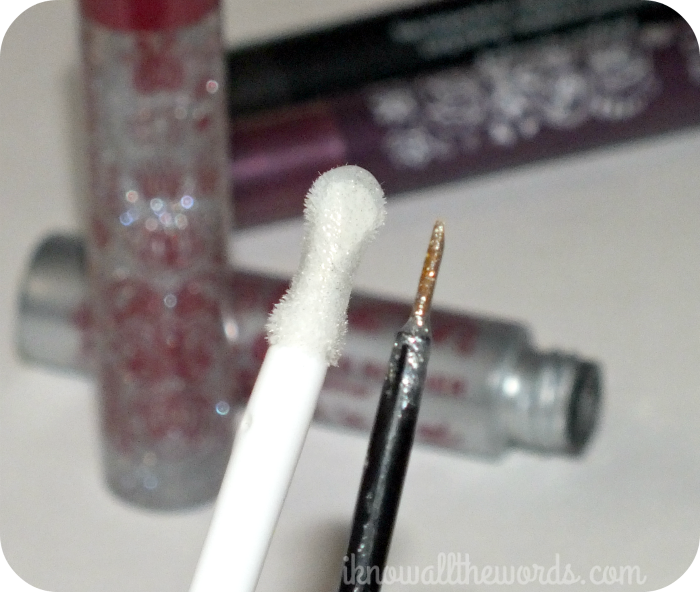 I like that the tube is a smaller size, because I know I would never finish a full size tube of glitter liner. 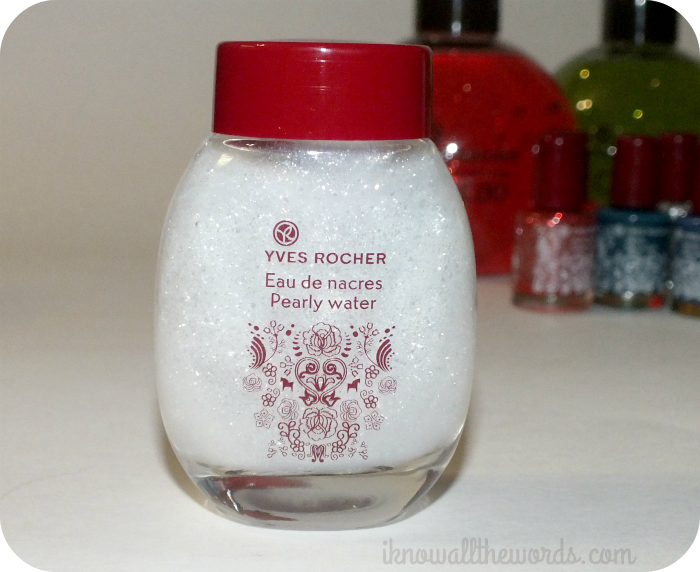 And, just in case you haven't had enough shimmer yet, we wrap things up with Yves Rocher Folk Passion Pearly Water in Silver. 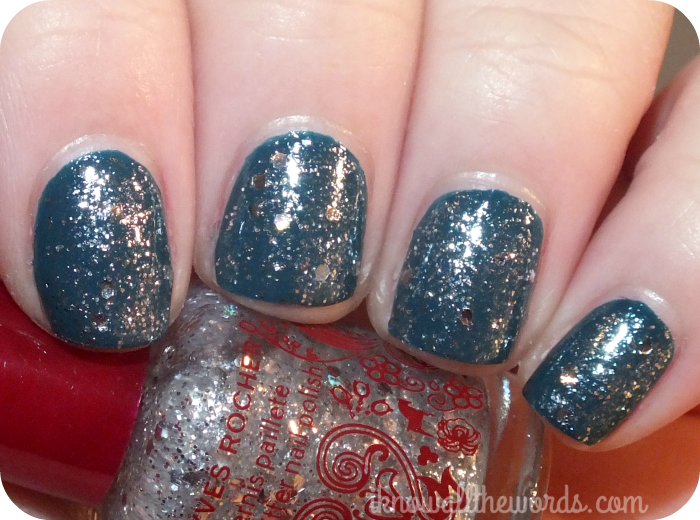 Pearly Water is a lightly perfumed water-like gel that is home to silver and transparent shimmer/glitter. It feels cool when applied to skin and leaves a snow fairy-dust glow to skin. I even went a bit crazy and added a bit to my hair. In hair, it's quite subtle, but when the light hits, gives you a bit of extra holiday glow. Overall, this is a really fun collection with something for everyone. Did you see anything you love?